In this article, we’ll examine the reasons why Andretti is actually in good enough racing shape to actually make an Indy 500 comeback a reality. For starters, he’s actually driven the current generation of Dallara Indy car chassis, the foundational DW-12 that is currently outfitted with a new-for-2018 universal aero kit. He’s driven in straight line tests for Andretti Autosport. “I’m asked from time to time by my son, and I welcome it to get the experience to work with the current engineers,” Andretti said. “I like to be up to speed with the technology that’s available and all the new tricks that we’re looking for. There’s always something to learn. So, Andretti wouldn’t necessarily have to spend a lot of time getting used to the cockpit or the controls that would be available to him. “The biggest thing for me is to be current with everything,” Andretti said. He’d only have to focus on getting used to the race track again, or would he? On Monday, the day after the 102nd running of the Indianapolis 500, Andretti gave rides in the Indy Racing Experience two-seater to 33 riders who paid to have a ride at average lap speeds of 200 mph or higher. Andretti told me that the fastest lap he’s done at Indy in the two-seater is 207 mph, which he was quick to point out was 15 mph faster than what NASCAR’s Jimmie Johnson has done at the same track in a stock car. While it’s not an apples-to-apples comparison of race cars, you have to remember that Andretti is 78, and he’s driving people at more than 200 mph! What sorts of physical activity are other men his age doing? 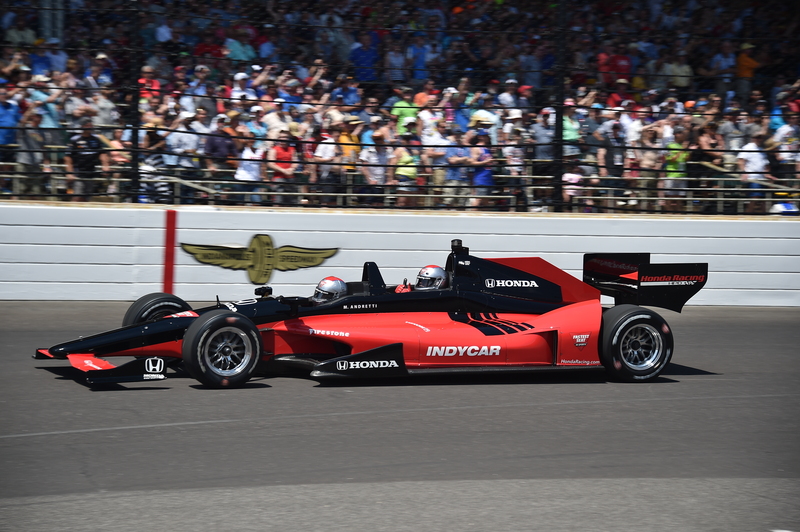 “Even in the two-seater, I get all the latest in the tires available,” Andretti said. “Actually, I can give some feedback because of the weight of the car and all the stress the tire is under. Some of the tire engineers ride with me sometimes which is something they cannot do with any other racing machine. Is Andretti’s two-seater a true representation of today’s Verizon IndyCar Series machines? It’s not that much of a stretch (pun intended). It’s heavier with having to carry the extra weight of a passenger, and it carries more downforce as it’s really only designed to give rides at around 180 mph. So, if you were to put Andretti in a vehicle with less weight and less downforce, in other words, a car that was truly optimized to race in the Indy 500, it would reason that it wouldn’t take too long to get acclimated to the increased speeds that he’d see. Plus, again, he is one that always analyzes what is going on. Will this actually happen? Well, as far as I know, this isn’t something that he’s pursuing, but if someone with good equipment presented him with the opportunity to give it a shot, do you think he’d so no?